Sure, be yourself. But be the best possible version of yourself. It turns out you can lean on some of your dating experiences — or at least the advice you’ve received over the years — in your quest for a profession. Your mama always told you to be yourself, and you should take her advice — with an important caveat: By all means be yourself, but the best possible version of yourself. Don’t skip the obvious stuff: Brush, floss and run a comb through that mop. Wear an outfit that suits the environment you’re walking into. And practice being open without oversharing: Have a friend run through some practice questions and rate your answers. Unless you’re completely unlikable — which is unlikely — authenticity is always the best move. Any experienced dater has been out with that person who just can’t shut up about his or her last relationship. Pro tip: Talking about how “insane” or “stupid” your last partner was doesn’t inspire sympathy (or lust). It just makes current dates wonder what you’d say about them. During a job interview, this logic goes double — possibly triple. “There’s a slim possibility that you could be on a date and trash talk your exes in a funny way, but when it comes to interviewing, there is no way you’re going to pull that off,” says Allison Hemming, CEO and founder of The Hired Guns, a New York City-based digital recruiting firm. Instead, she says, be diplomatic: “Steer the conversation towards what you accomplished on the job.” If you must explain why you left, you can say that you felt you were unable to reach your full potential at your last job. Or that, while the company was exciting, you were stuck on a stagnant team. “There’s a way to talk about it without alienating a potential employer,” she says. Discussing your political views or religious beliefs on a date is widely considered a bad move. But if your politics or religion are an intrinsic part of who you are, there’s no reason to hide them from your potential partner. Why waste anyone’s time? 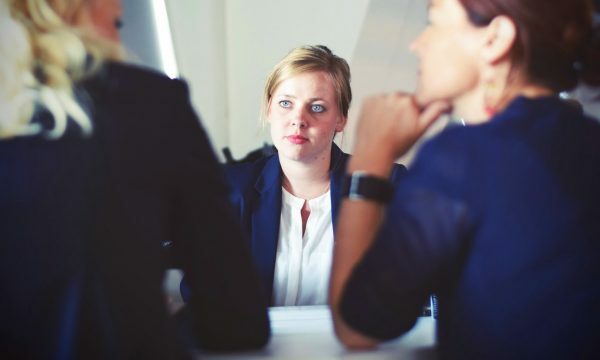 In a professional setting, if finding a position that matches your political beliefs is nonnegotiable, Hemming suggests asking instead of telling. “Instead of saying, ‘I’m a card-carrying member of Move On,’ ask them questions about the corporate culture.” For example, find out if the organization gives employees time off for volunteer work or if it has a recycling policy. Hemming says religion shouldn’t come up unless your beliefs require accommodation, such as days off for certain holidays. “I would mention that later, when you’re negotiating salary and vacation time,” she says.